We’re proudly introducing to you the new big CS-Cart release—CS-Cart 4.6.1. In this news post, we’d like to focus on the major, strongly requested feature—product variations. Of course, we’ll briefly review other new features—version 4.6.1 is rich in new functionality. 1. Product variations. In CS-Cart 4.6.1, we’re introducing product variations—physical products based on options. A product variation is a better option combination alternative. An admin treats products variations as separate products. For now, this feature is at the beta stage but included in the box. 2. Adding products to an order in the admin panel is now faster thanks to search suggestions. Admins can edit orders on the Orders → Manage orders page: change payment and shipping info, prices, taxes and add more products to orders. We simplified the product addition. To add a product, start typing its name in the search field. You'll get product suggestions. 3. The Phone field to search for orders. To find an order, admins use order search in Orders → View orders. We’ve added the ability to search for orders by a customer’s phone number. 4. Creating the PayPal merchant account in the CS-Cart admin panel. To receive payments from your customers via PayPal, you need a merchant PayPal account. We’ve added an ability to register a merchant account right from the CS-Cart admin panel. No need to go to the PayPal website for that. 5. Ability to edit robots.txt for each storefront.The robots.txt file contains instructions for search robots. That way you can prevent them from indexing files with sensitive information and exposing that information. CS-Cart allows you to edit instructions for robots in the admin panel in Website → SEO → robots.txt. Previously, you had to enter FTP credentials and edit the actual file, and the instructions from that file applied to all storefronts. Now the instructions are stored in the database and can be different for each storefront. You're welcome to share your thoughts on the new release here in the comments! I assume the paypal issue reported in the bug tracker, has been fixed in this version. Congratulations! Are there any news about the Store import addon for this version? Many CS-Cart stores would like to use the new features like product variations introduced in this version. Store Import will be a bit later, I suppose within 3-4 weeks. Thanks and that will be great! what else would be great imac is that if you had a better user interface for mass editing products by simply allowing the store admin to add products to categories, add one or more tags to mutiple products and or categories in one overview page. Right now if you wish to add or change products in certain categories you need to amend the products instead of just adding or removing products from categories in one neat sitemap page. Or what also would be of great improvement would be if you could export and import all your products and categories from one store into the other without having to bother if these products depend on certain addons so that let's say you need to reinstall your store due to really wanting to move to a whole new theme you would not required immediate assistance from a developer unless core files have been changed upon or with your own consent. Will that be implemented in the (very) near future ? For instance I might have change the theme one of my current live stores for another and I have no way of really starting out fresh without a lot of hassle and having to manually put in all the pages due to the fact that a theme can be so intrusive. I have already requested this, presented how this is done in ebay where you can mass edit even 500 products without care for browser to hang.. 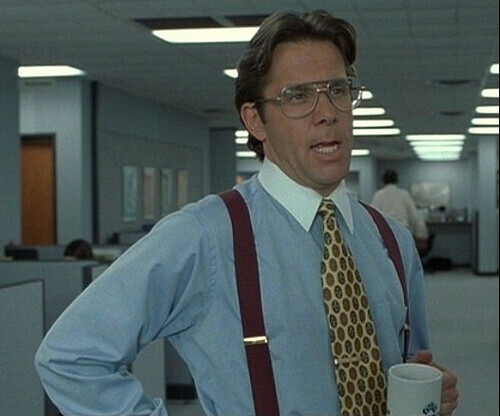 But imac does not like direct feature suggestions, so go ahead and post your requests to user voice, it might be voted and realized in upcoming 10 years or so..
That would be great, awesome. Gotta link for me Darius for your uservoice contribution? I did not post or will ever post to uservoice. That project is totally dead. I am just saying that your ideas will not be heard..
A product variation is a better option combination alternative. An admin treats products variations as separate products. For now, this feature is at the beta stage but included in the box. This seems to be nice addition. Such small additions really make life easier. Did not test it but I hope this has not only search by product name by also by SKU ? I agree that this release is an improvement as such but we need more from CS Cart. Yes 100%. Admin ease of adding product and customer product description page and other areas should be most focused. Since the update we can't seem to manually create orders. When we click the Create button nothing happens. I disable all 3rd party addons and have no trouble. Please contact us via Customer Help Desk and provide temporary access to your server by clicking on the Add record link on the Access information page of your Help Desk account so that we could examine these issues. First two additions are great. Long waited variations and admin panel improvements. Will Product variations be put into Google Feed? Are you treating them like a SKU on their own? how this is done in ebay where you can mass edit even 500 products without care for browser to hang..